extended periods of time. 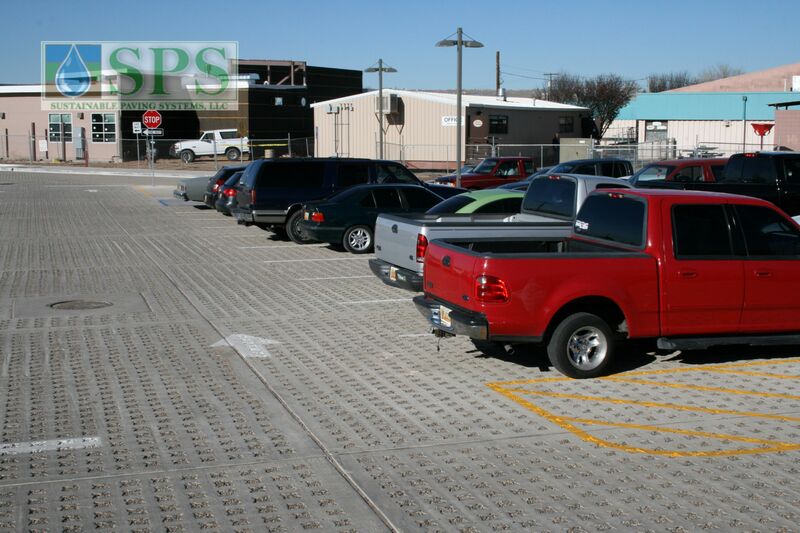 This posed safety and access issues for parents and teachers utilizing the parking lot daily. 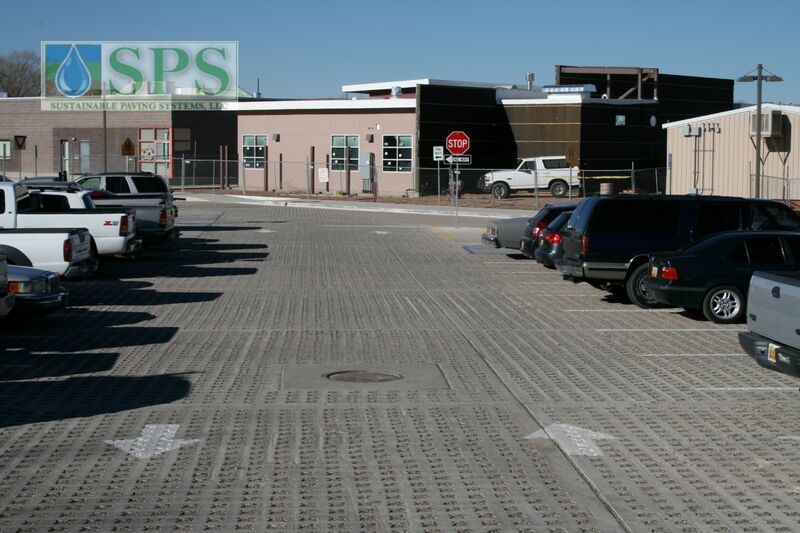 Grasscrete was selected as the product to meet their needs due to the historically poor performance of traditional no-fines or pervious concrete in the region. 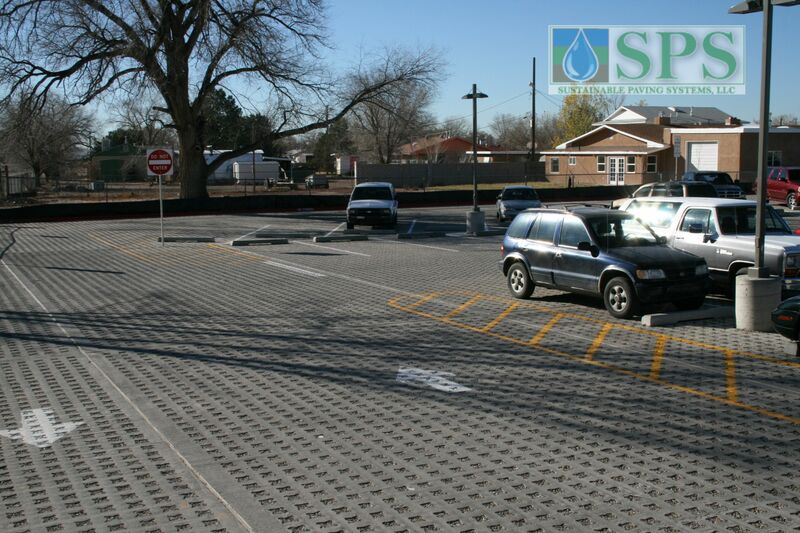 The utilization of storm water retention chambers under approximately 20,000 square feet of the lot combined with the clear stone bed achieved the necessary capacity to handle the heavy rains. With a conventional stone filled void Grasscrete application capable of storing 3 inches of rain, this revised system was capable of several times this volume. This not only solved the parking lot flooding problem but gained additional capacity to pump water from areas surrounding the school when required. 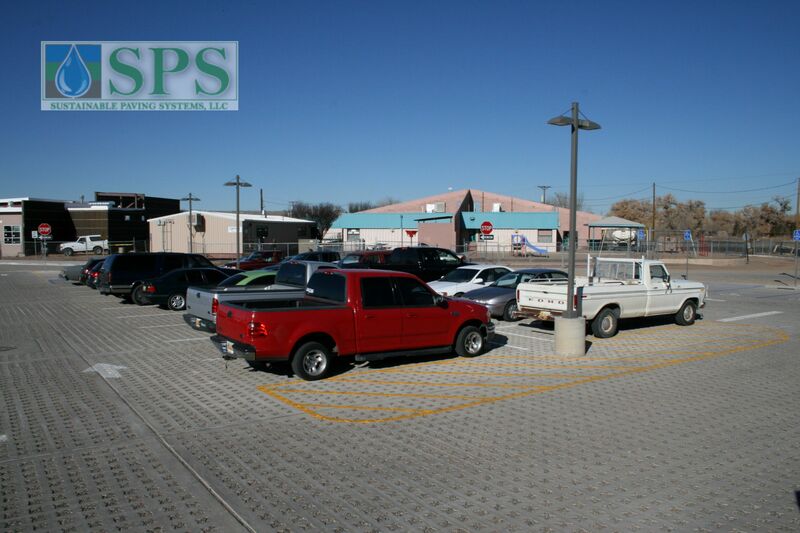 The school itself, as well as the parking lot, were renovated at the same time while open so construction vehicles such as large delivery trucks, forklifts and waste disposal trucks had to gain access to the parking lot shortly after placement. This was achieved through the use of a concrete mix that had an average compressive strength of 4200 psi at 7 days and an ultimate strength in excess of 6000 psi while still utilizing the desired 26% fly ash replacement of portland cement. This mix in conjunction with the 8” on center #3 bar utilized in the formers allowed the slab to be opened to light vehicles within 36 hours and all vehicles within 72 hours of concrete placement. While the main surface area is easy to navigate both by vehicle and foot, handicap access was provided using traditional broom finished concrete. This finish ran through the parking area where required with the surface pitched to drain into the Grasscrete System. 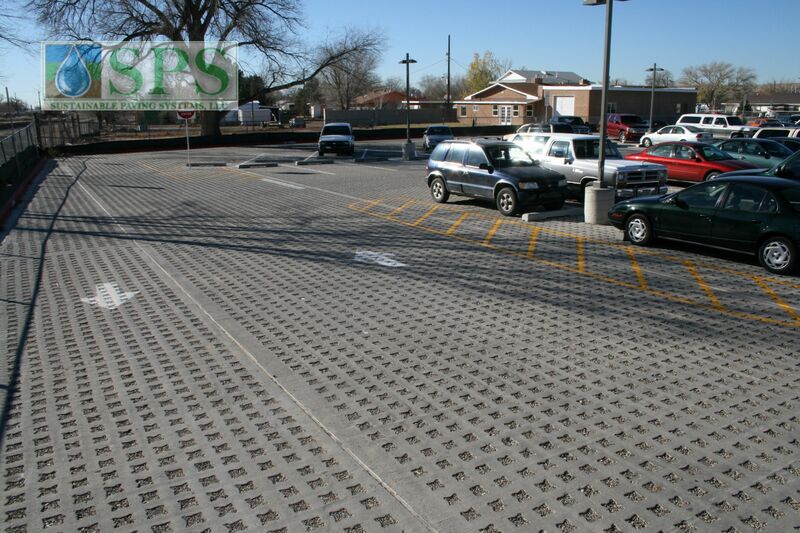 This type of composite system is both cost effective and practical providing smooth uninterrupted access where necessary but still achieving the required amount of pervious surface.